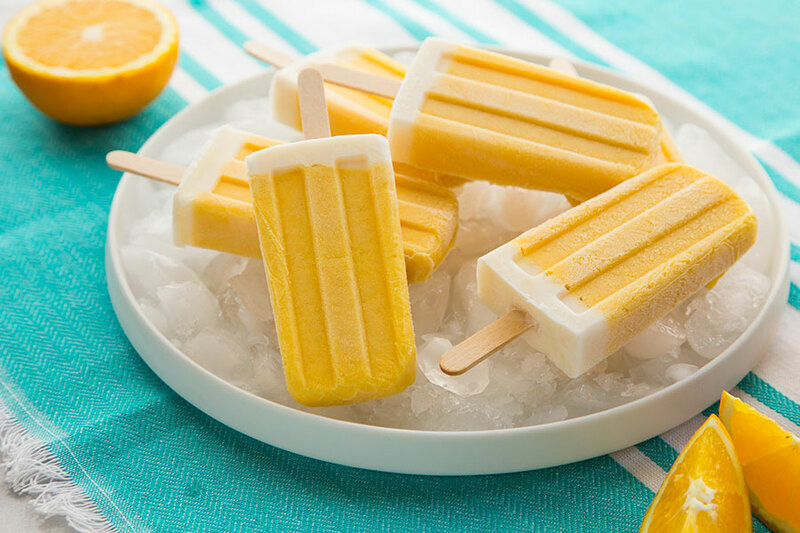 These creamy treats are great on a hot August day... or any day, really! Mix ½ cup yogurt, 2 tablespoons sugar and 1 teaspoon vanilla extract in a bowl. Chill and set aside. In a blender, blend together remaining ingredients. 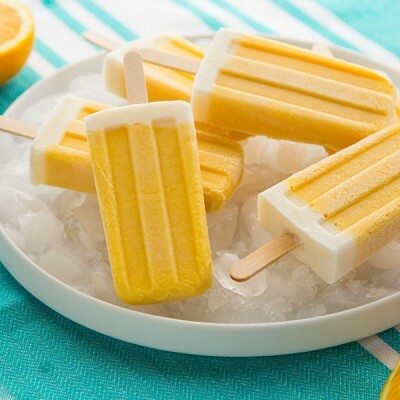 Divide among 10 ice pop molds, leaving a small space at the top for the second layer. Freeze for 1 hour. Top each ice pop cavity with a spoonful of the chilled yogurt mixture. Put in the sticks and freeze for at least 8 hours or until firm.